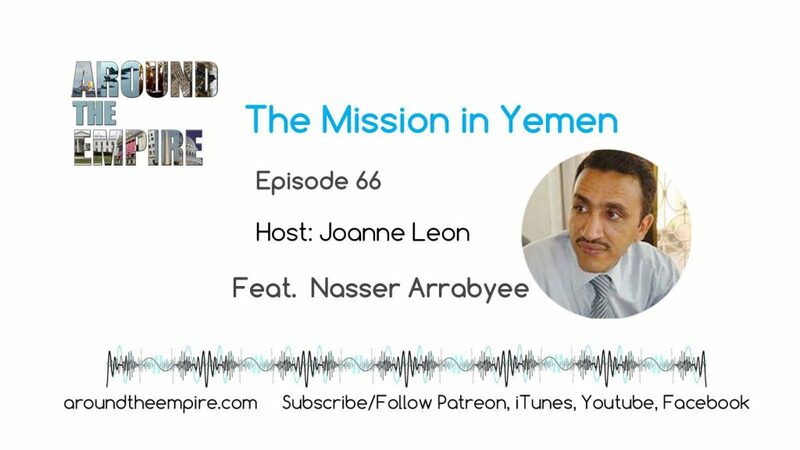 Yemeni journalist and filmmaker Nasser Arrabyee speaks to us from Sanaa about the war in Yemen. In 2015, a CENTCOM commander told a US Senator that he did not know Saudi Arabia’s goals and objectives in its war on Yemen and therefore could not assess the chances of success. More than three years later, Nasser Arrabyee helps us explore the answers to those questions. We talk about the US-backed Saudi and UAE coalition’s mission in Yemen, the Yemeni Resistance and Iran’s involvement. Arrabyee updates us on the situation in Hodeidah and we discuss the recent AP report on the Saudi/UAE cooperation with al Qaeda. Arrabyee has produced four documentaries about the war in Yemen and has been published by numerous media outlets including the New York Times, Bloomberg and Foreign Policy. FOLLOW @narrabyee on Twitter and find his work at his website yemen-now.com. FOLLOW @aroundtheempire. SUBSCRIBE/FOLLOW on iTunes, YouTube, Facebook. Recorded on August 16, 2018. Music by Fluorescent Grey. Dr. Blumi gives us a deeper understanding of the war in Yemen in a way that is compelling, fascinating, tragic, and largely untold in the western world. Yemen’s people have a long history of resistance. The war in Yemen is an imperial war for resources and dominance and also a hidden war between Gulf state rivals. The latest escalation of the war has been fueled by Saudi Arabia’s now urgent need for finance and resources. Follow @IsaBlumi and find his latest book at UCPress.edu. Recorded on May 10, 2018. Music by Fluorescent Grey.